Rodger Clemens is one of those rare athletes who has managed to stay a top notch performer far into the type of age where most players have long since fallen off from their prime, or have even retired, no longer able to perform at a high level. Clemens, like many players who seem to defy Father Time far longer than their fellow athletes, is renown for his off season conditioning and for not necessarily a gym rat, but Clemens did work out with religious fervor, and that’s why when many pitchers were fading badly in their mid-30’s that Clemens continued to dominate into his mid-40’s. Early in his career, Rodger Clemens would keep his legs in shape with long-distance running. While many pitchers skimped on the leg training (because how often does a pitcher actually have to run anywhere) Clemens would run four to five miles a day. That long range running wasn’t the only exercise involved in a Rodger Clemens workout. Power weight lifting for the lower body and light toning weight lifting for the upper body were both major parts of Clemens’ workout. Clemens would work out more lightly on days he was going to pitch, but that didn’t mean he would skip working out completely. On days he was going to pitch he might jog for a few miles. The Rodger Clemens workout routine now is based around a routine of four different workouts that get rotated to balance each other out with maximum efficiently. The Rodger Clemens workout now focuses mostly on intense aerobic exercise. Good heart health and core health is paramount to remaining healthy and performing at a high level into older age. Clemens also mixes in some power weight lifting for his lower body and light bench work his arms, followed by agility drills. There are two days that concentrate mostly on lower-body weight lifting. In addition to that, there is also a day that focuses mostly on using weights to work over the upper body, and then four sessions of cardio. The cardio workout is one of the mainstay of Rodger Clemens’ exercise routine, and every workout also includes various abdominal exercises that are said to equal up to an incredible 750 sit ups. That’s not Herschel Walker territory, but it is still pretty impressive. The day after pitching is when Clemens performs the hardest workouts of his rotations. Using common sense, the workouts decrease in difficulty, becoming a little bit easier every day until the next day he pitches, which is the easiest day of working out so he remains fresh for the game. Clemens also had one habit that set him apart. 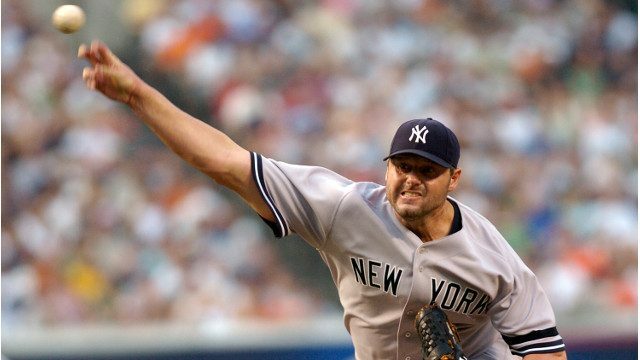 Most pitchers would throw once in between pitching appearances, but Clemens would throw twice. The intensity of the Rodger Clemens workout routine has made him a living legend, even among pitchers twenty years his junior who simply can’t keep up with the old guy. And the on field results are without questions. Two pitching triple crowns, two World Series titles, an MVP, and seven Cy Young awards, won in both the American and the National Leagues. Natural talent is an amazing thing, but Clemens worked for his success and deserves every bit of it.